The fix should be in the very next beta released. It was due to us storing information about audio from your device at boot. 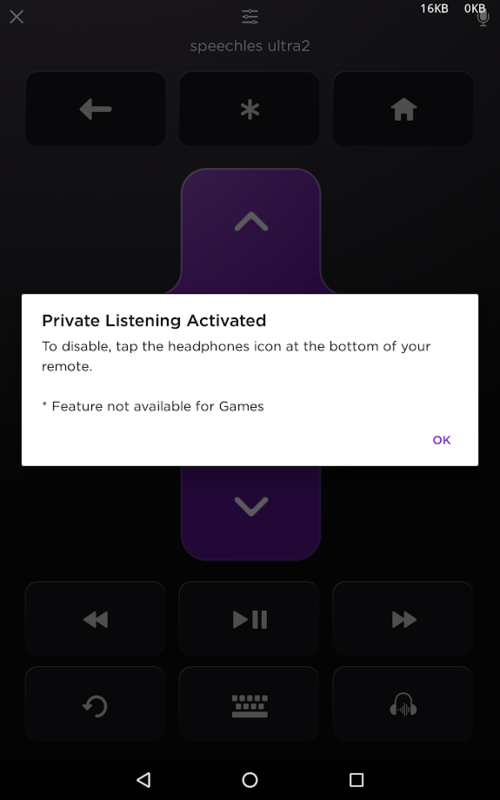 This information becomes stale when using private listening. It is now using audio data you are using at the moment when creating capabilities to play video/audio. Apologies for the interruption and thanks for letting us know it was an issue. I'm wondering if anyone else is having this issue. 4a. If i keep PL selected and back out of the movie, Emby crashes. If I go back into Emby (with PL still selected), it works as it should, with audio coming from my phone. 4b. If I deselect PL then back out of the movie, Emby does NOT crash but going back into the movie does not solve the issue. It seems the connection for PL must happen before Emby is opened otherwise it doesn't work. Can anyone verify this happens to them also? I sent a log through the app with my attempt at turning PL on. I think we just have never tested this. Thanks for reporting. This must be specific to the iOS/Apple family of devices. On my nexus 7 this works as expected. Turn it on sound comes out the tablet. Turn it off sound comes out the TV/AVR. I tested on both Roku ultra #4640 and #4660. I just got it to crash. I see what causes it. I can fix this hold on I will get a fix in promptly. Edited by speechles, 11 February 2019 - 03:33 PM. Thank you guys. Appreciate the quick response. Edited by speechles, 11 February 2019 - 04:44 PM. Fantastic, definitely not a big deal but glad you got it fixed...and fast!